This Grilled Steak Seasoning Mix Recipe will send your juicy steaks over the top with a fresh punch of flavor! Pour ingredients into a medium bowl and stir well to combine thoroughly. 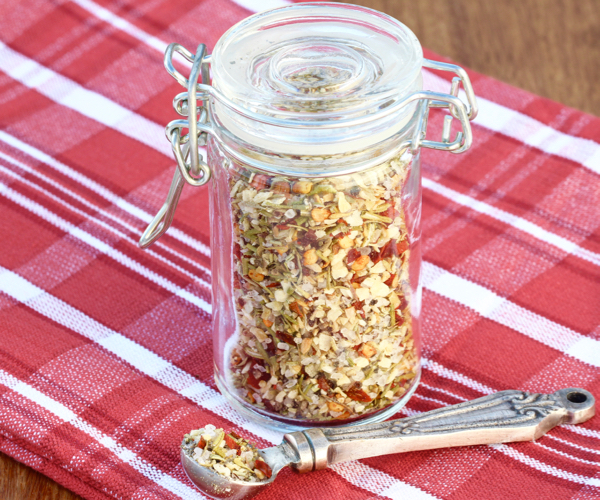 Transfer your new savory seasoning mix into a spice jar. When you're ready to make steaks, I recommend letting your steaks sit at room temperature for 30 minutes before preparing. Season steaks with approx. 2 teaspoons of seasoning mix, or as desired.